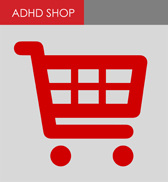 ADHD can only be diagnosed by a qualified health professional. For an adult that would be a psychologist or psychiatrist trained to recognise ADHD. For a child a paediatrician trained to recognise ADHD might make the diagnosis. A full history and evaluation is carried out and symptoms are checked against a set of diagnostic criteria. DSM-5 is the latest standard. A range of tests to exclude other causes of symptoms, eg hearing and sight, should be carried out before ADHD is diagnosed. It is vital that an accurate diagnosis is made so the most effective treatment and support can be provided. The most effective treatment of ADHD involves a range of interventions often referred to as the 'multi-modal' approach. Note: for people with food sensitivities in addition to their ADHD, diet modification can be used as an additional therapy. Diet modification in itself is not a treatment for ADHD.